Just because you’re the smallest kid in class doesn’t mean you have to be the meek one. Chrysler’s the ultimate example of this idea, and we’ve seen them innovate or direct the car market in different ways since it got its start. In 1934, despite its failure, the Airflow was the first car designed in a wind tunnel for mass production; nowadays, almost every car on the road is tested in one. In 1982, they resurrected the convertible market with the LeBaron–a terrible car in most respects, but it made the market relevant again. 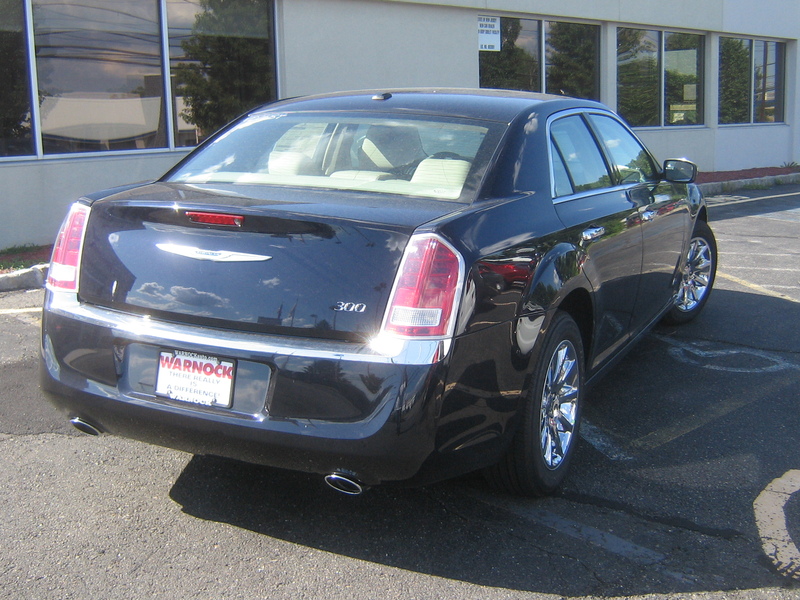 And, in 2005, the 300C brought the classic, comfy RWD sedan back to relevance, and they haven’t looked back. 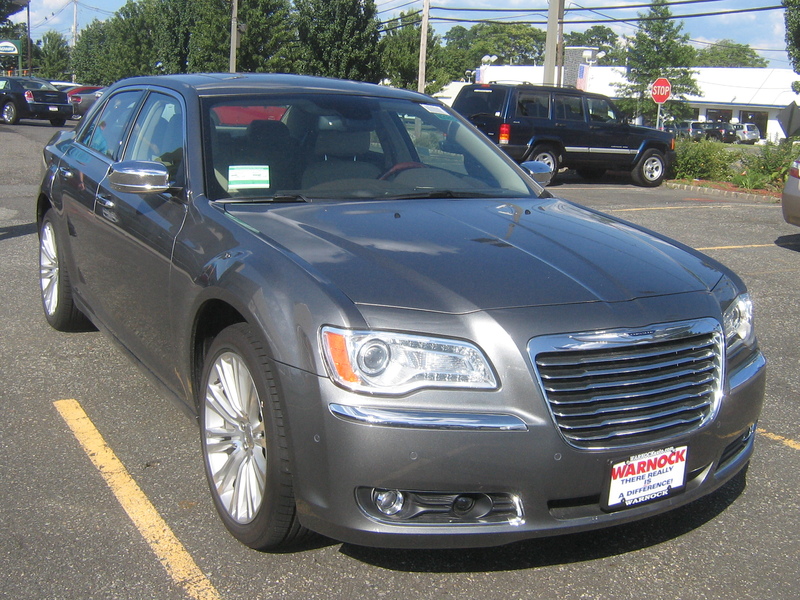 This year, Chrysler gave the 300 a much-needed redux. On the styling front, it’s now sharper, more interesting, and a lot more striking than the old one. The first one looked good, but it was almost inoffensive in its face–it was pretty, yet almost too restrained. This one screams, “AMERICA!” from the front and rear–a huge improvement. It’s got some serious swagger to it now, and after a bit more examination, the details really show. The badges are more defined, the taillights have more substance, and the front end, despite its similarities to the older one, has been changed just enough to give it more “oomph”. 300 Limited interior. Big improvement over the previous version. The interior, though, is where Chrysler really spent money. It’s much-improved over the cheap plastics that dominated its insides in the past five years or so. I sat in a V6 before I took the two cars out, and was thoroughly impressed–my first thought was, “This is the 300? Wait a minute.” My second thought: “How’s the rest of the car?” So, I decided to find out. The Blackberry Pearl 300 V6 was my first drive. Not that bad a car at first, but it needs still some improvements. Other than the interior, the engine was an area that, on the previous one, was seriously lacking in the “wow” department. Chrysler’s new Pentastar, however, may have fixed that. With 280hp on tap, it gets going without a lot of drama. Unfortunately, it still has some problems. The brake pedal is too soft, and it rides a bit too “traditionally,” meaning that it feels too wallowy over bumps. The interior unfortunately feels slightly cheap too, thanks to the black ash trim, which feels far too cheap for a $35,000 car. The seats, however, were incredibly comfortable, and the touch screen was astoundingly useable. 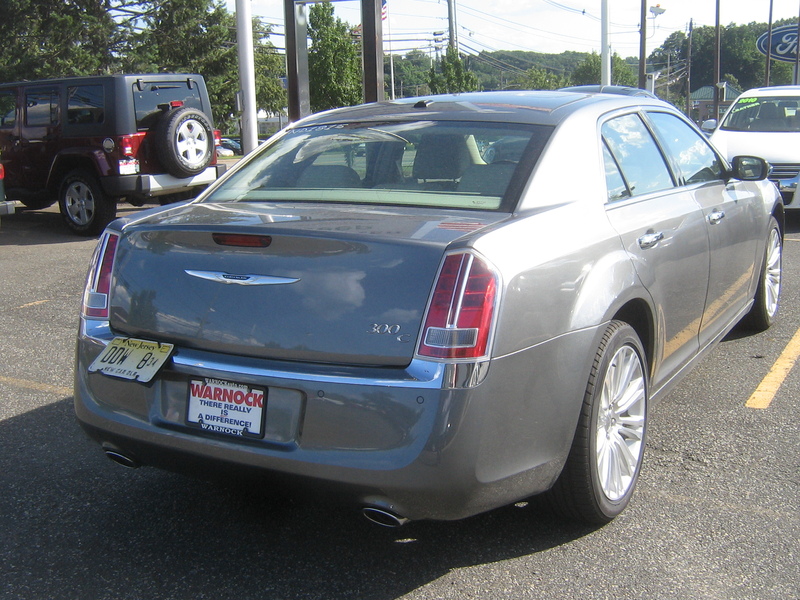 Chrysler 300C (Front). Note the 20-inch rims. Despite their size, they don’t hurt this car’s ride much at all. The 300C’s Hemi V8 wakes this car up without even trying. 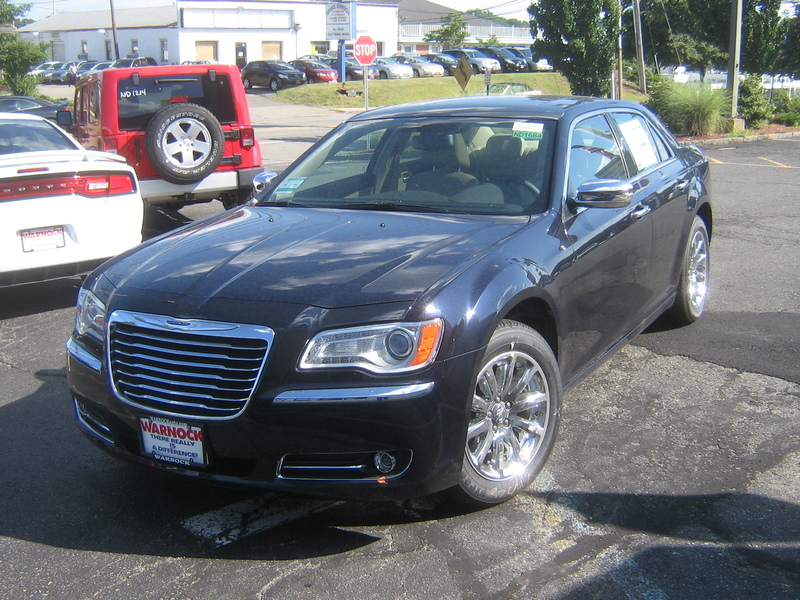 The gray-green 300C I drove came with some notable options, such as the new SafetyTec package, which included adaptive cruise control, a few extra airbags, and HID headlamps. It also included some serious 20-inch rims, as well as air-conditioned seats. Now, the 300 V6 was certainly not that slow, but the 300C makes the V6 model feel like Gramps–one stab of the throttle and I said, “Jeez. This thing just loves to fly.” 370HP sitting under your right foot is just plain fun, especially when it’s been wrapped up in such a nice car. Upon leaving a gas station, I gave it about 3/4 throttle and the engine roared–it sounds much more like a muscle car than the Pentastar, and certainly feels like it too. Chrysler didn’t change a lot on the 5.7, but they didn’t need to. 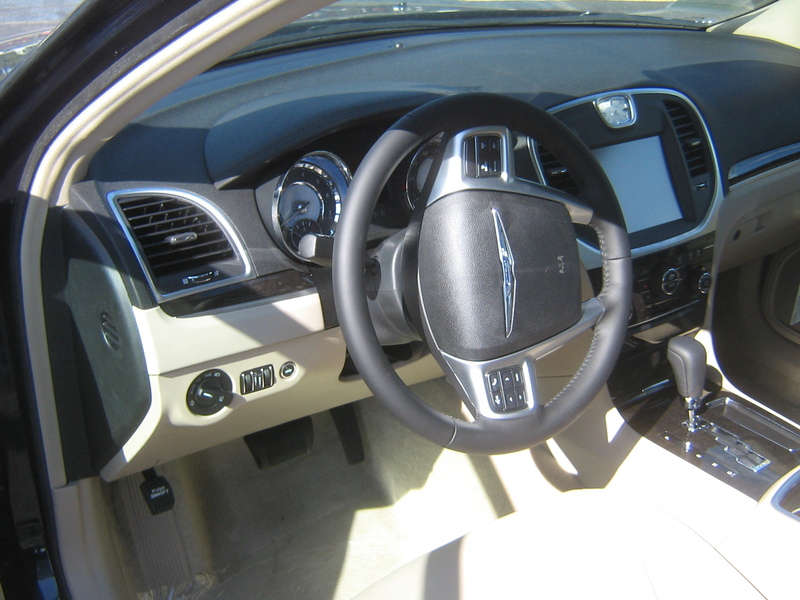 For $45K, this car has quite a lot of nice amenities and I was once again simply astounded by Chrysler’s interior improvements–this one had a beige interior, which includes burled walnut accents on the dashboard and console–the build quality was much, much better than the V6, and it actually rode and handled with more authority. The ride was significantly firmer, but not uncomfortable, and the brakes felt much more secure. I was a lot happier with it, and the V8 seems to be worth the extra money. Overall, I can proudly recommend this car for its price–I was surprised by how nice the interior was, and by how both versions didn’t really have many serious faults. In all, a big improvement–I can’t wait to try an SRT8 when it hits dealers.